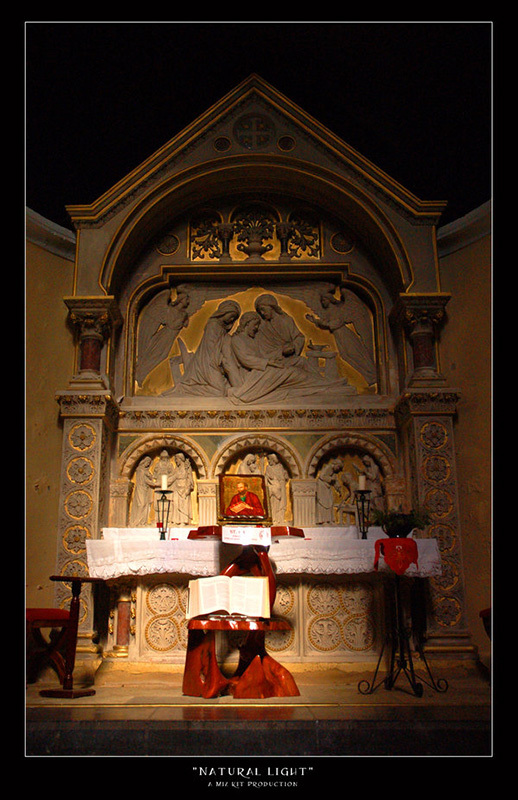 Natural light falls on an altar in Sligo, turning everything to gold. One of my MANY GOALS (because I have no sense of proportion) is to someday go around and do a “holy sites” kind of photographic book, in part because if I did that I could probably get permission to photograph a bunch of places one isn’t normally allowed to, and with better lighting in the places one *is* allowed to. Although really, you can’t get much better than this light, which I caught out of sheer fortune. one almost might call that lighting opportunity.....a miracle? I always love 'images' (usually seen with the naked eye) of light surrounded by shadows (chiarascuro?) so I really like this.